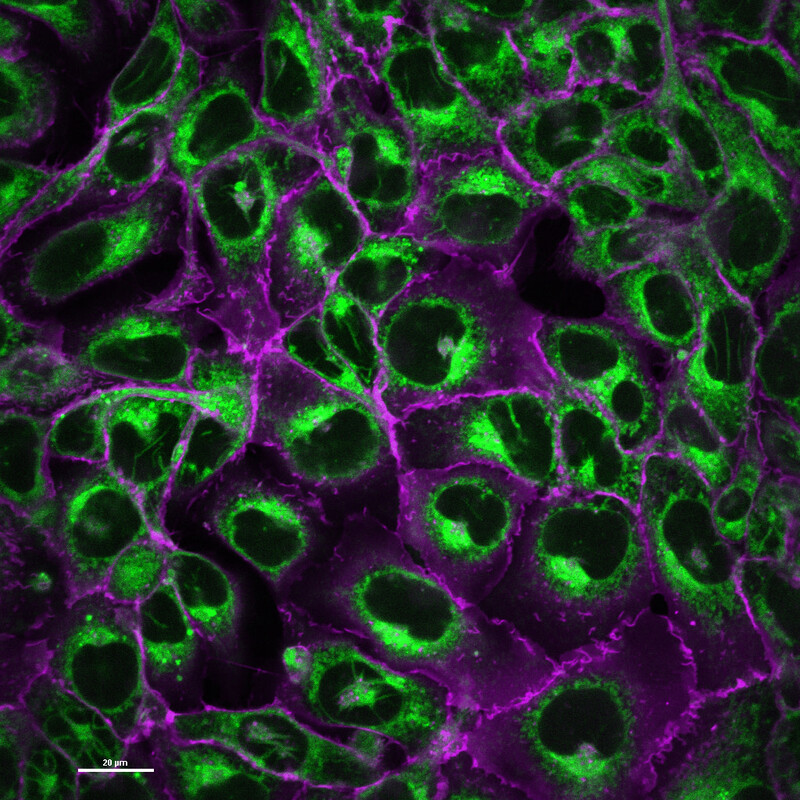 Synonyms ReZolve-ERTM is a live cell imaging agent with rapid cell uptake for imaging the endoplasmic reticulum. For use in a wide variety of live and fixed cells. 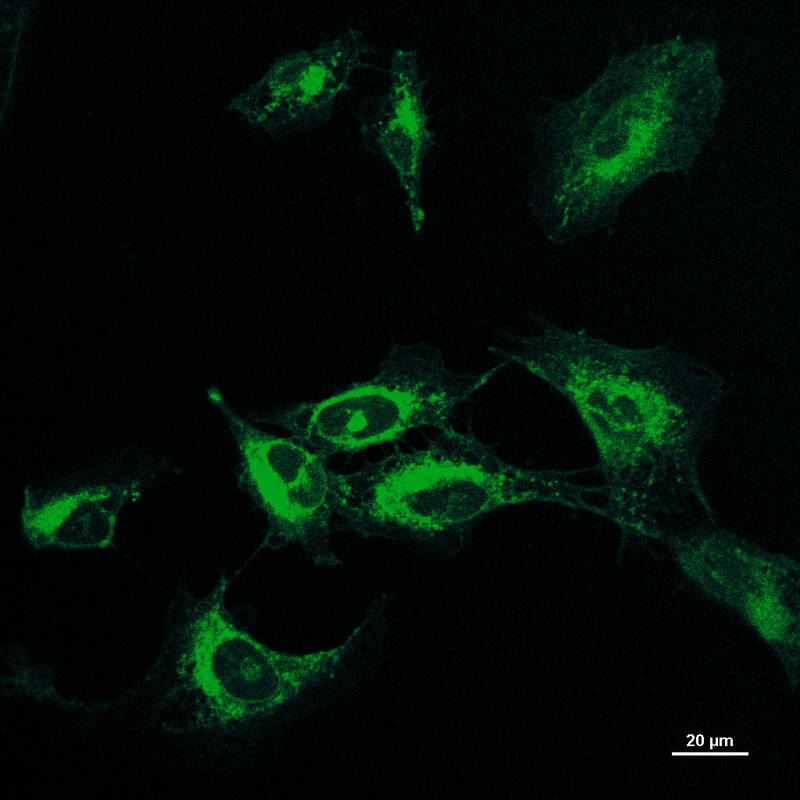 Ideal for epifluorescence, confocal and multiphoton microscopy. Excitation/Emission 405 nm/ 570 nm. Bader et al. 2016. FEBS Lett. 590(18):3051-60. PMID: 27543777. 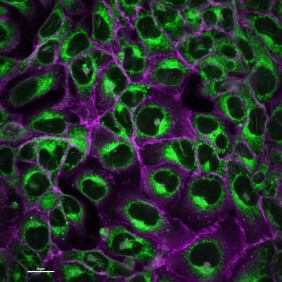 Imaging nuclear, endoplasmic reticulum and plasma membrane events in real time.